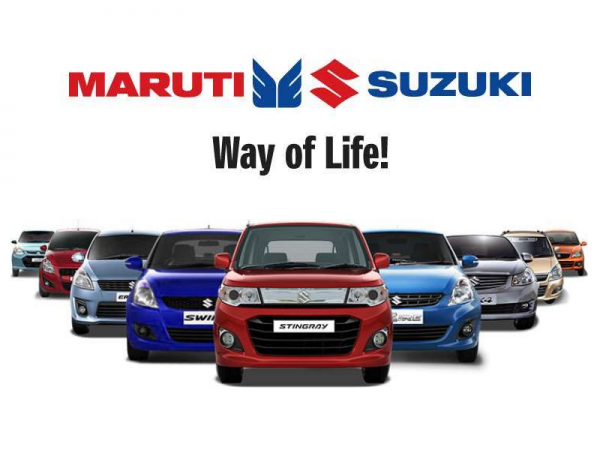 Maruti Suzuki India Ltd, a part of India's most successful car manufacturing firm invites applications from eligible citizens for Dealership / Distributorship process online. The franchise opportunity is open through online application process - so know about the eligibility criteria process, documents required and cost of dealership. You can directly apply through online application form which is available and valid throughout India. Please check the initial cost, rate of profit margin and available opportunities for you with Maruti Suzuki. Over the years of time, MSIL has been leading the ropes of Indian car industry having produced some of the most affordable and successful cars like Alto 800, K10, Wagon R, Swift, Baleno, S Cross, Ertiga, Ciaz, Celerio and Omni. They are open for business from people who are willing to join their ever growing team of growth and success. Ever since Maruti Suzuki has landed in India, they have captured the car manufacturing sector with deals and offers best suited for people in all levels of society. Currently the growth of business opportunity especially in Dealership has risen in various mega cities which has led to high competition in the market. As far as profits are concerned, there has been an enormous amount of demand concerning Maruti cars ruling the market every year. The levels of sales and after sales support has been given the top most priority in the sector of car market as well. There are other opportunities open as well - Vehicle parts, logistics and accessories and the other being - Parts development and supply opportunities. This has opened the market for various deals of Maruti Suzuki to rise in Indian car segment. Currently MSIL is selling mid segment cars and sedans at unbelievable offers which keeps them in fray by every individual while buying a car. On an overall, they sell over 13 lakh cars every year which is their success signature in more than a decade or so in car industry. 1. The main applicant should be the one who is holding the maximum shareholding asset within the company. If there are multiple applicants involved in a partnership, the applicant with maximum value will be designated as an executive and remains the main applicant. 2. The application must be typed, options can be selected from the drop down list and all sections must be filled before taking print out and submitting the same at the address. 3. Application amount of Rs, 1,00,000 (One Lac) must be deposited in the name of "Maruti Suzuki India Limited" payable at Delhi in form of Demand Draft which is termed as Interest free money for accepting your application. In case of final selection of your application, you need to deposit Rs. 10,00,000 (Ten Lacs) which is the cost of dealership (Security amount) to accept the confirmation of the same. In case of rejection of application, refund shall be made by MSIL Team. 4. Applicants need to submit the relevant documents, security deposit, proof of possession of approved site for dealership and all details directly and the concerned MSIL Management will declare whether you are eligible or not. 11. Demand Draft attached for application form fee. What is percentage of profit involved in Maruti Suzuki Dealership? As far as sources are concerned, dealership in car segment provide high returns and worth the value of investment involved. Over the years, the competition has gone stiff in the market and brand value in car segment has been given high importance based on performance history. Currently the level of dealership is based on generation of leads which means each car sale will count over the period of month end cycle. Maruti Suzuki offers the highest rate of dealership profit in the domestic sector of Indian market. As of now, Maruti Suzuki offers 17% Dealership profit over the Base price of the vehicle. Now calculating 17% profit, which becomes Rs. 47,600/- which is the profit earned right now. Now calculating 17% profit, which becomes Rs. 1,10,500/- which is the profit earned.